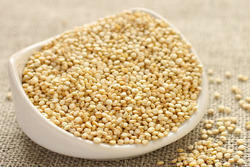 Providing you the best range of quinoa ready to eat (processed quinoa), quinoa seeds / chenopodium quinoa, rajgira amaranth ramdana, jau barley and soya doc soya protein with effective & timely delivery. 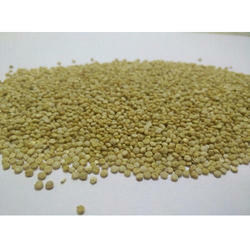 Quinoa is the common name for Chenopodium quinoa of the flowering plant family Amaranthaceae. It is grown as a grain crop primarily for its edible seeds. It is a pseudocereal rather than a true cereal, as it is not a grass. 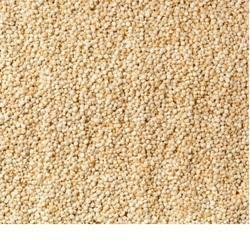 Ajgira (Amaranth) or Ramadan, as it is popularly known in Northern India is a powerhouse of nutrients. 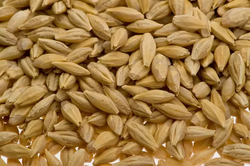 This grain migrated to India from America and became an important part of our fasting ritual. 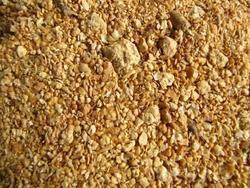 Rajgira is a good source of calcium, protein and amino acids and is rich in iron, magnesium and Vitamin A, B and C too. This grain, which is only remembered during Navratri and Ganesh Chaturthi, should be included in our regular diet for the numerous benefits it offers. Barley has the cooling effect. Its Sanskrit name is Java.For general purpose, its grains are the main used part of the plant while preparing the alkali (Java Kshara) the whole plants are used.It is used as cattle feed also. We are offering Soya DOC Soya Protein to our client. Looking for Agri Products ?